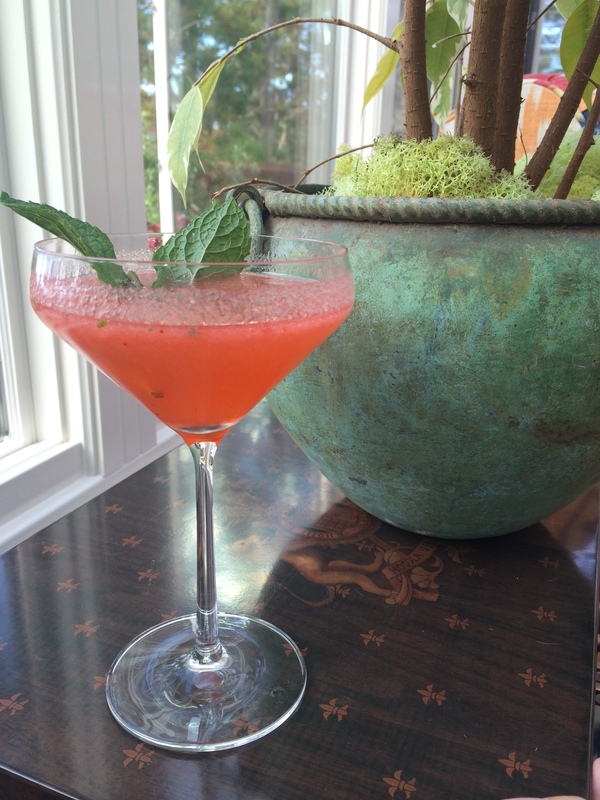 Monday Funday #22: The Peruvian Flapper! You know how in movies about the 1920s everyone seems to be fabulously dressed and drinking deliciously tantalizing champagne cocktails out of sparkling coupe glasses? Now that we have said that, do you also want to be fabulously dressed and drinking a deliciously tantalizing champagne cocktail out of a sparkling coupe glass? Well then dust off your Great Gatsby-est attire and get ready for a 20s-inspired drink that will blow your minds! Monday Funday #21: Diane’s Strawberry Cheesecake! This is a very, very special Monday here at The Woman At The Bar, because today’s drink was created specifically for one you! 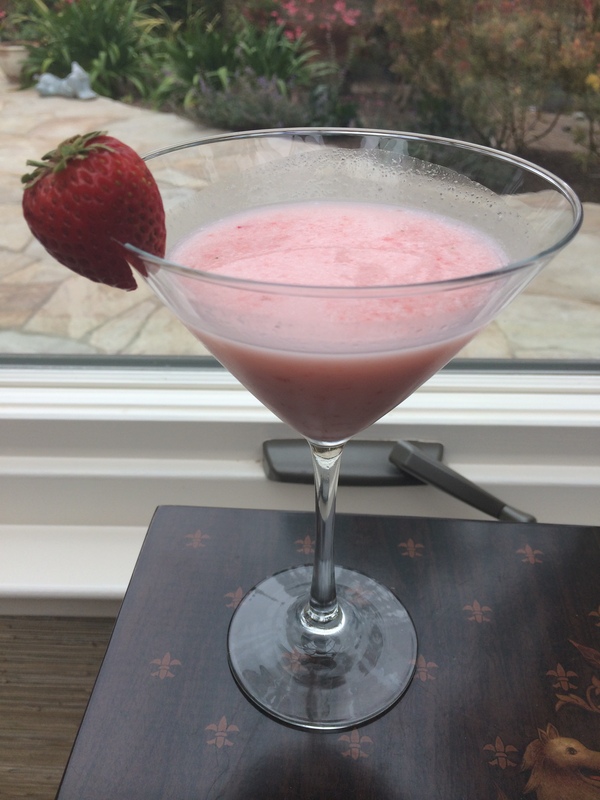 Diane, one of our wonderful readers, threw down the gauntlet and challenged us to create a drink inspired by her favorite dessert, strawberry cheesecake, and we are not ones to ever turn away from a challenge–so create we did! This is the first of what we hope to be many drinks created with your input, so if you have a drink challenge for us, no matter how pie (or cheesecake!) in the sky it may seem, send it to our way and we will put on our mad scientist caps and get to inventing! But for now, we hope that you all (but especially Diane) enjoy Diane’s Strawberry Cheesecake! 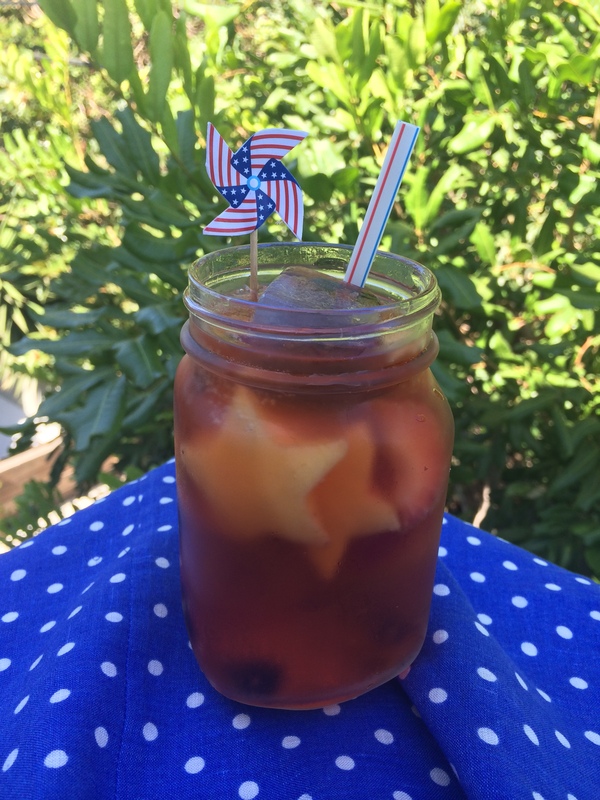 TBT Classic Cocktail #14: (Patriotic) Cava Sangria! Happy Thursday, and Happy Day-Before-Independence-Day, readers! As promised, today we are making a red, white, and blue-themed cava sangria, just in time for the 4th of July! This recipe can be used at any time using different fruit, but today we will be focusing on a special, Happy Birthday America version! So lets get down to business, shall we?